With live music and the help of an overhead projector we decompose scenes of improvisational tasks until we find the space issue, and reverse: provide tools with the space aspect to perform in a new state of wholeness. The work is aimed to develop a flow of contextual awareness through sonic and visual tasks. 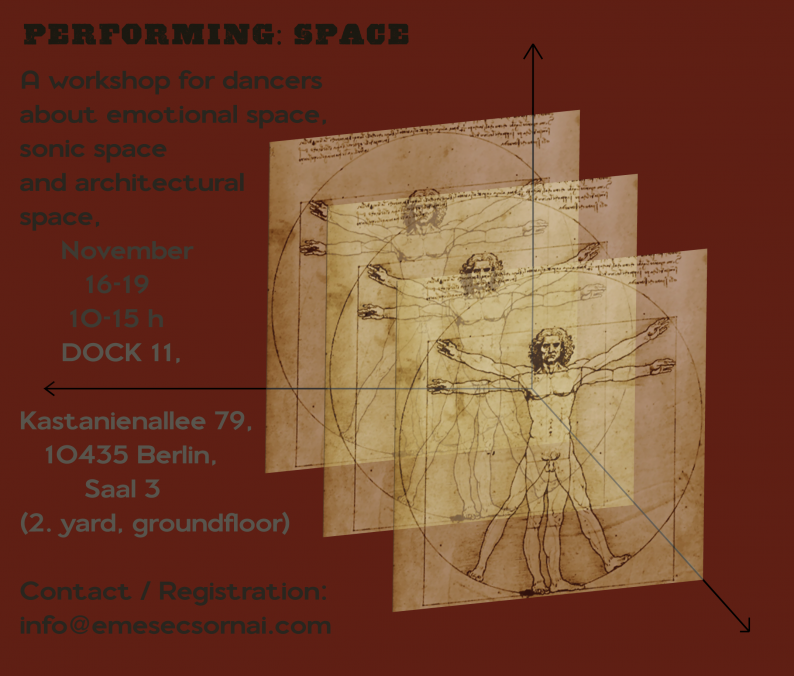 Our workshop is helpful in analyzing one’s own practice and finding new performing strategies for professional dancers. Up until the 20th of October with 15% discount!